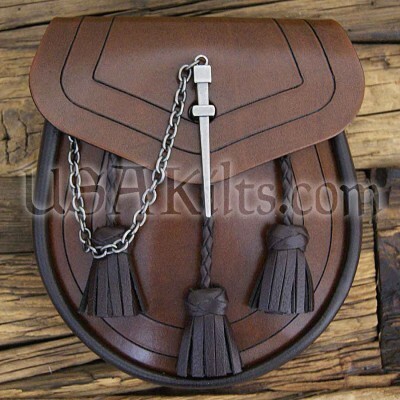 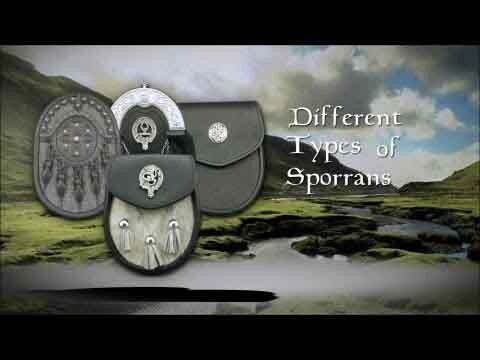 This leather day sporran is made in Scotland. The top flap features simple lines and closes with a antiqued silver 'pin' closure system. This simple, yet classy closure makes a utilitarian closure system into a piece of art. 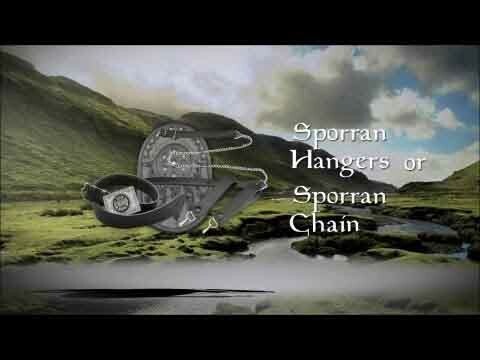 It comes with a Sporran chain (adjustable length) to fit most men. 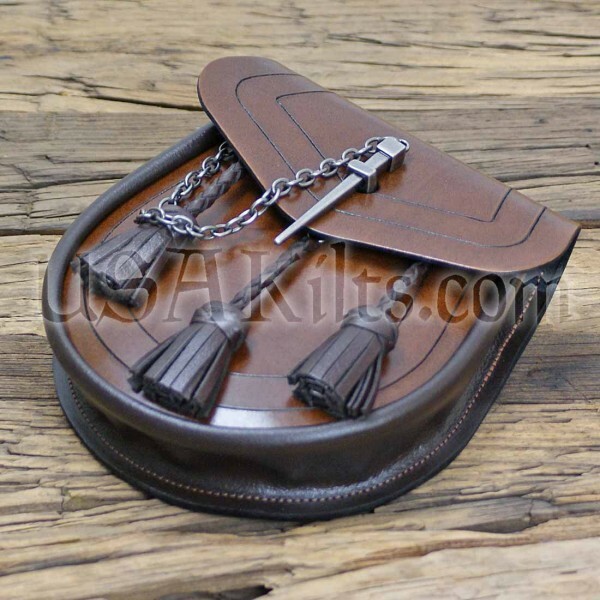 Brown sporrans typically look best with other brown accessories like a brown kilt belt, brown sporran hangers and brown shoes.